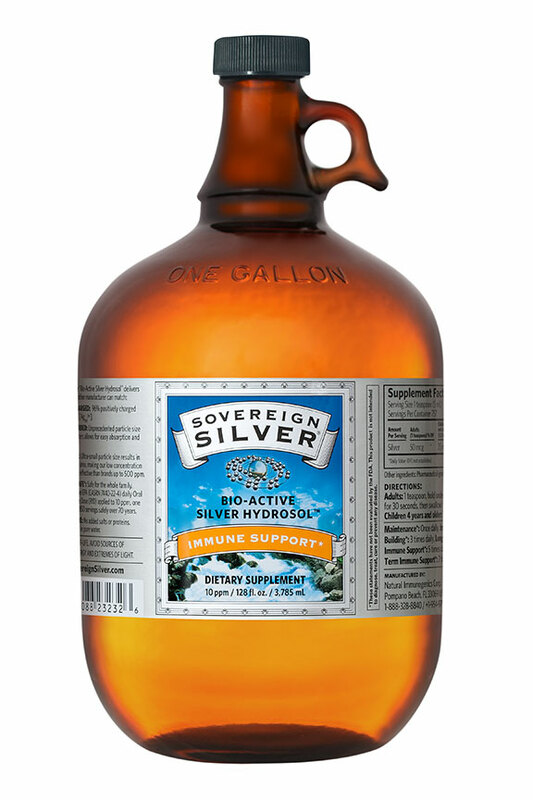 Sovereign Silver (Colloidal) Hydrosol Gallon Cap Top | Supplements | Colloidal Silver | Raw Life, Inc.
"This is a DROP SHIPPED item, it will be shipped separate from your regular order by the Manufacturer" This Item Ships From A Separate Location ~ Arrival Times May Vary To support your immune system for all of its needs*, choose Sovereign Silver Bio-Active Silver HydrosolTM - the #1 selling silver supplement in America. It has a unique combination of 5 attributes no other manufacturer can match: Actively Charged (Bio-Active) As corroborated by a university study, Sovereign Silver contains 96% actively charged silver particles (positively charged [Ag+] silver ions), which renders it at least 34 times more powerful than other brands. Easily Absorbed Sovereign Silver's unprecedented average particle size of 0.0008 microns, or 0.8 nanometers (validated by Transmission Electron Microscopy), allows for easy utilization by - and excretion from - the cells and body. Less Is More Our ultra-small particle size also results in a greater silver surface area. That's why even with a low concentration of 10 ppm (parts per million), Sovereign Silver is still much more effective than brands that contain up to 500 ppm! Perfectly Safe Sovereign Silver is formulated to be safe for the whole family when used as directed. Taken 7 times a day for 70 years, Sovereign Silver still falls below the EPA daily Oral Silver Reference Dose (RfD). 99.999% Pure Sovereign Silver has only 2 ingredients: silver and pharmaceutical-grade purified water. It does not contain added silver compounds (silver salts or proteins) that render other silver products ineffective and possibly dangerous. 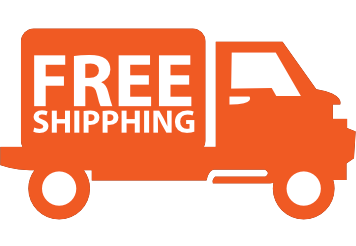 In addition, to maintain product purity and integrity, it is packaged in non-leaching glass bottles. Directions Sovereign Silver 1 Gallon - Colloidal Silver Adults: 1 teaspoon, hold under tongue for 30 seconds, then swallow. Children 4 years and older: 1/2 teaspoon. Guidelines Maintenance*: Once daily. Immune-Building*: 3 times daily. Long-Term Immune Support*: 5 times daily. Short-Term Immune Support*: 7 times daily. Why Bio-Active Silver HydrosolTM over any other form of silver? Over the past 2 decades, the term "colloidal silver" has been dramatically polluted by manufacturers that produce (knowingly or unknowingly) silver products contaminated by the presence of salts, proteins, compounds, stabilizers, and oxidation - all of which serve to degrade and diminish the bio-activity of the silver. A Bio-Active Silver HydrosolTM, represents the ultimate refinement and purity of the colloidal silver category. It is the suspension of a high content (96%) of positively charged silver ions (Ag+) in only pharmaceutical-grade purified water. This is not to be confused with ionic silver, an inferior form of neutral silver/silver salt that is in solution (dissolved) rather than in a colloidal suspension. The positively charged silver ions (cations) in Bio-Active Silver HydrosolTM remain in suspension, maintaining their fully active state for use within the body. Will Sovereign Silver or Argentyn 23 give me Argyria (a condition that turns the skin blue)? NO. Even if you consumed 7 teaspoons daily for 70 years. Argyria is a condition caused by the ingestion of elemental silver, silver dust or silver compounds. The most dramatic symptom of argyria is the skin becoming blue or bluish-gray colored. Argyria may be found as generalized argyria or local argyria. Argyrosis is the corresponding condition related to the eye. The condition is believed to be permanent, but laser therapy has been used to treat it with satisfactory cosmetic results. [Source: Wikipedia] ^1 - James, William; Berger, Timothy; Elston, Dirk (2005). Andrews' Diseases of the Skin: Clinical Dermatology. (10th ed.). Saunders. ISBN 0721629210. ^2 - Jacobs R (2006). "Argyria: my life story". Clinics in dermatology 24 (1): 66?9; discussion 69. doi:10.1016/j.clindermatol.2005.09.001. PMID 16427508. It is true that using silver compounds (silver salts and silver proteins) will lead to Argyria (classified as a benign cosmetic condition), although Natural-Immunogenics Corp. (NIC) confidently guarantees that use of its Silver Hydrosols will not lead to Argyria.